It's time for our monthly blog circle again! This month's theme is "water." Such an easy one since we play in the water practically every day! I took these when we were down in Austin at Nick's parents' house a couple of weeks ago. 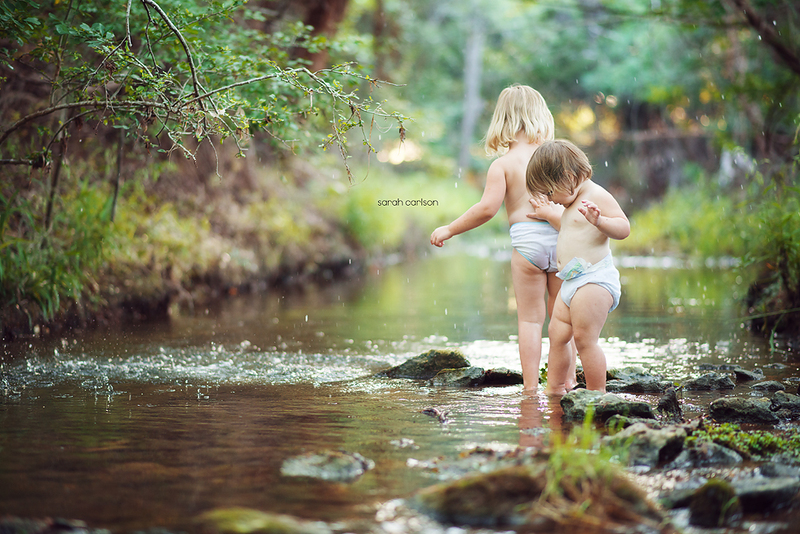 Nick's mom and I took the girls out to the stream behind their house, stripped them down, and let them wade in the water. 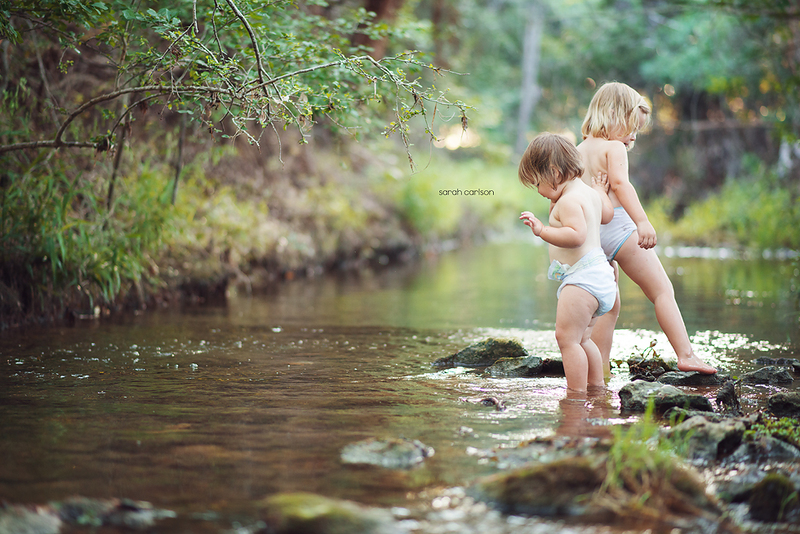 They had so much fun throwing rocks and splashing in the beautiful last light of day. They could have stayed out there forever! Follow our blog circle around, and leave some comments for my friends! Next up is Megan Dill. Her work is so inspiring!